The ftpmasters merged my dak branch last week during their meeting and have enabled the support of new source formats “3.0 (quilt)” and “3.0 (native)” in testing, unstable and testing-proposed-updates. I have uploaded 3 packages using the new formats already: logidee-tools using “3.0 (native)”, quilt and ftplib using “3.0 (quilt)”. The latter is arch any and has been successfully built on all architectures even those that still use an old version of sbuild (it looks like the fears that the old version would not cope with the new format were unfounded). For logidee-tools I built it with “-Zbzip2” in order to use bzip2 compression on the native tarball. I have updated the wiki page and the release goal page with latest information. Feel free to convert some of your packages to give it a try. 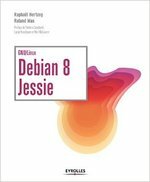 For ftplib, it led me to discover a Debian specific patch that I completely missed when I took the package over. This is precisely the kind of benefit that I expect from generalizing this format, it will encourage us to have separate documented patches instead of keeping everything hidden inside the usual .diff.gz. Combined with DEP-3 (patch tagging guidelines), we have a better infrastructure to share our patches with the rest of the free software community. The next step is to fix all bugs listed here and make dpkg-source use the new source formats by default (#553928). Feel free to help by preparing patches (and offering NMUs), it’s a release goal to have all packages buildable with new source formats. Where do I find an introduction to the new source format? Thomas, the dpkg-source(1) manual page should have all the relevant information. The man page has only a very brief section of 5 sentences about the new format. The format is called experimental, it doesn’t explain me, which branch layout is necessary and also misses examples and notes for newbies like me. I’d love to use GIT for packaging, but please post some simple how-to and show packages, that are already packaged with GIT.